I was gifted the role of cruise planner for our family cruise. Which meant I micromanaged every little detail in order to ensure everything went as smoothly as it possibly could. And while it may seem like I’m exaggerating, I promise you, I am not. There were emails. 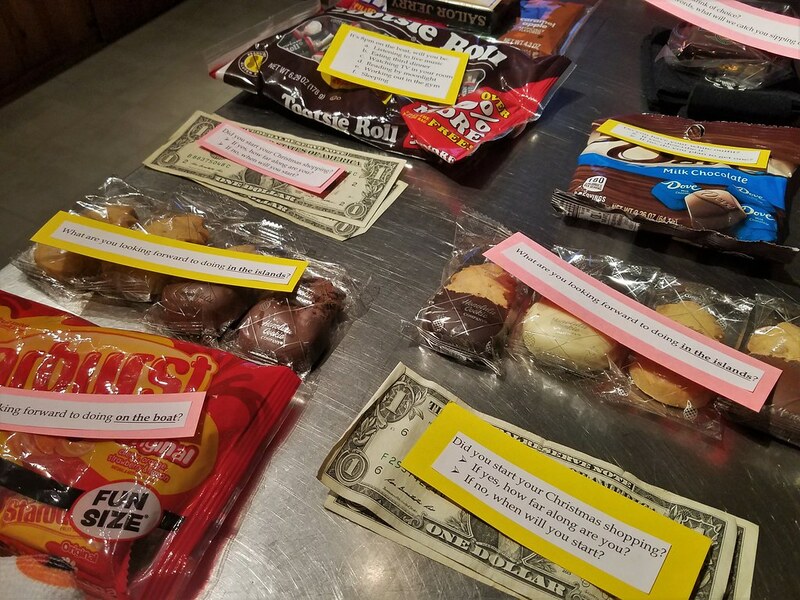 There were handouts. There were meetings. Because I don’t like to be all business, I made sure to incorporate games into our two* cruise meetings. *While some of you might be shaking your heads in confusion, I’m sure the other planners out there are clapping in approval. 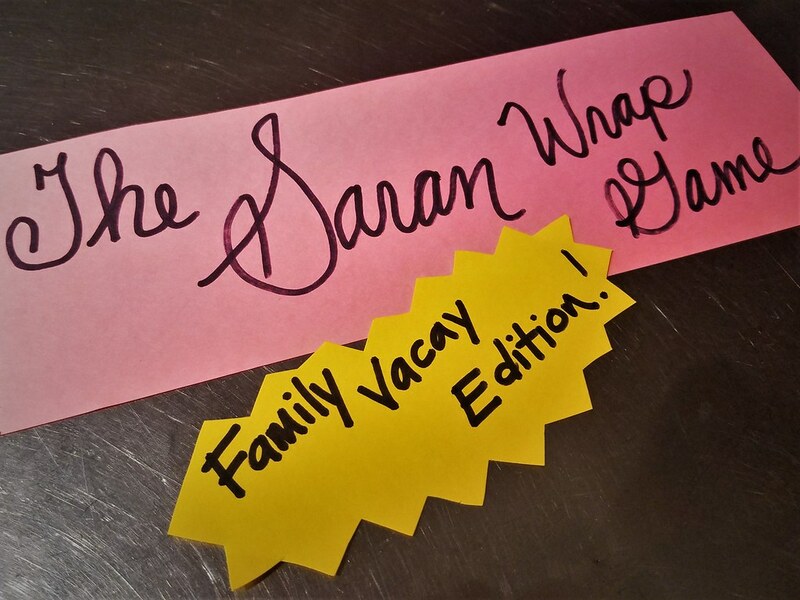 Needing a game for our final cruise meeting, I decided to come up with my own rendition of the Saran Wrap Game. Feel free to steal this idea for any upcoming vacation meetings of your own. My version is a little more laid back, whereas the original Saran Wrap game is a race to unwrap as much as possible while the next player rolls dice until they get doubles. Player number one begins by unwrapping the Saran Wrap ball until they reach their question. They must read their vacation related question aloud and answer it. After answering their vacation question, player one continues unwrapping the ball until they reach their prize. The ball is then passed to player two and continues on in this fashion until the end is reached. 1. Type up or write out questions. 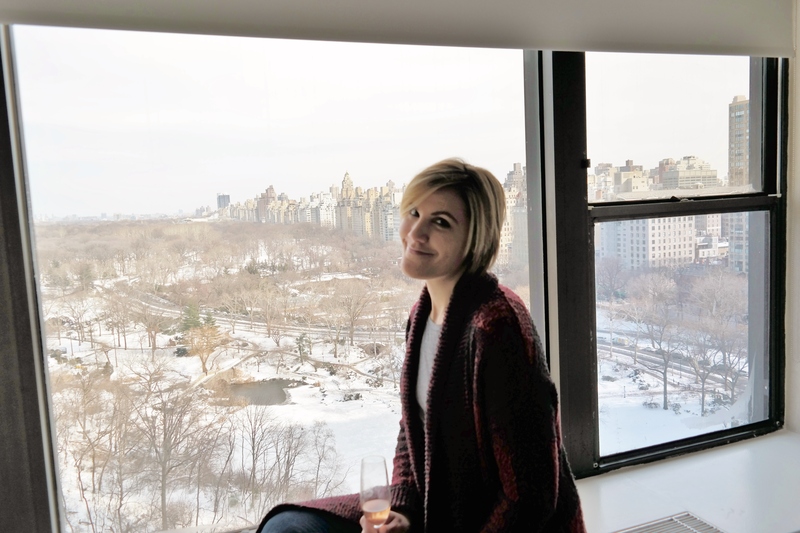 Questions should be related to your upcoming vacation. When are you going to pack? 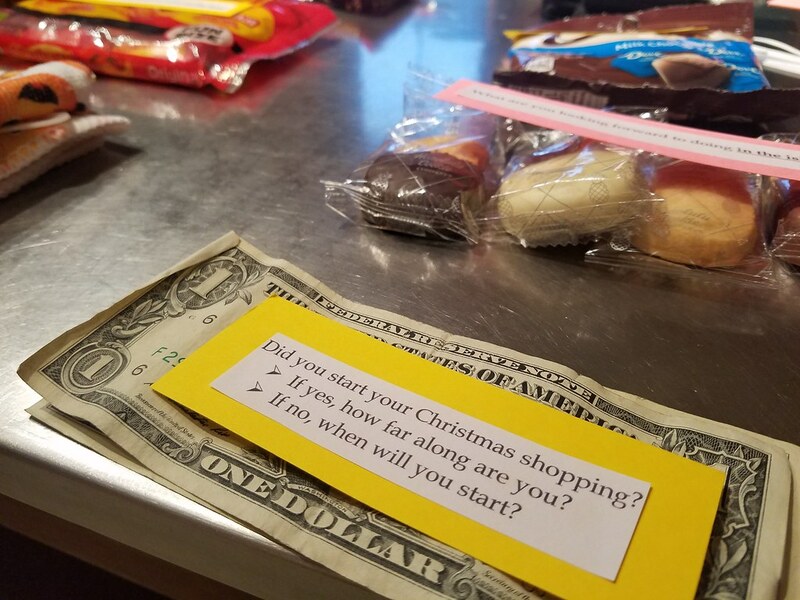 Did you start your Christmas shopping? What are you looking forward to doing on the boat? What are you looking forward to doing in the islands? What is your favorite poolside drink? It’s 8 pm on the boat, what will you be doing? 2. 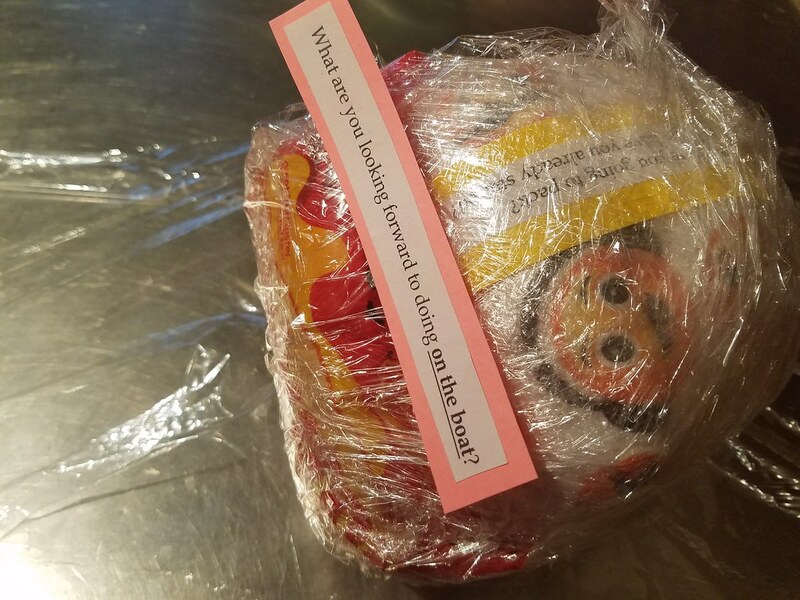 (Optional) Using construction paper, make a “Start” and “End” insert for your Saran Wrap ball. You can also glue your questions to construction paper so they catch the player’s eye while unwrapping the ball. 3. 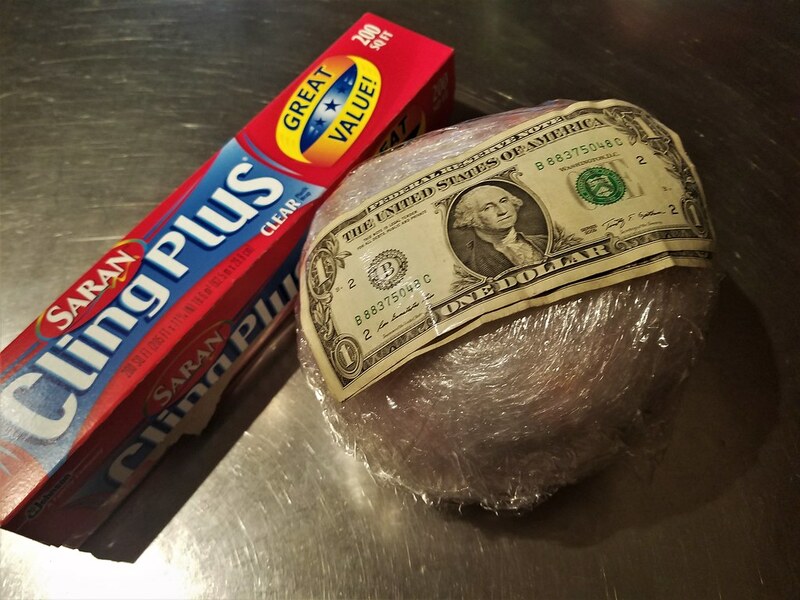 Ball up the shopping bag and wrap Saran Wrap around it until you have a decent sized ball to start with. 4. 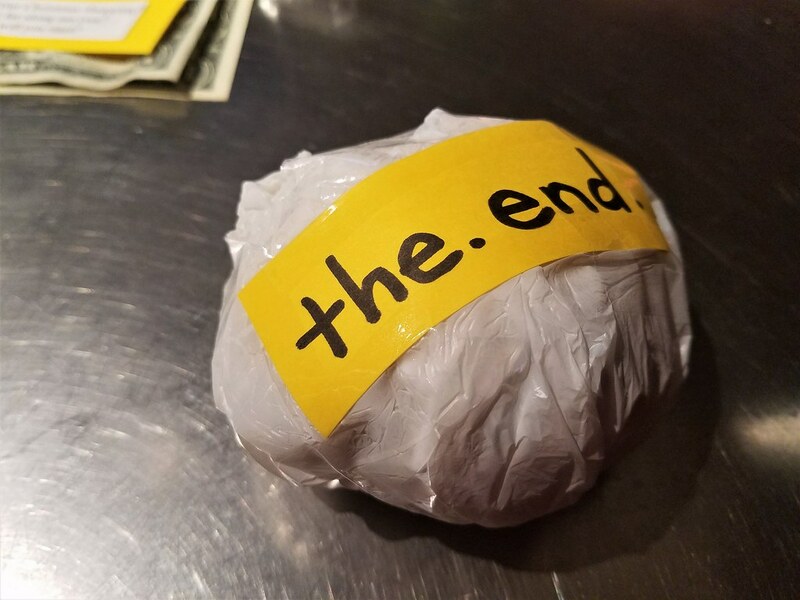 (Optional) Place ‘The End’ on the small ball and wrap it tightly in place with Saran Wrap. 5. Organize your questions with the prizes you want to go with them. In case you haven’t realized it, I favor a Type A personality big time while crushing on the creative qualities of a Type B personality. That being said, I matched all my questions to a prize which had a hint of relation to the subject matter. I also made sure to start in a way that would be easiest for me to wrap (small prizes at first, then working my way up to bigger ones). 6. Start wrapping! The most difficult part about making this Saran Wrap ball is thinking backwards. The prize needs to be wrapped up first, then the question. I tried my best to wrap a few layers around each item in order to give the players a more difficult time in unwrapping. 7. Finish it up! 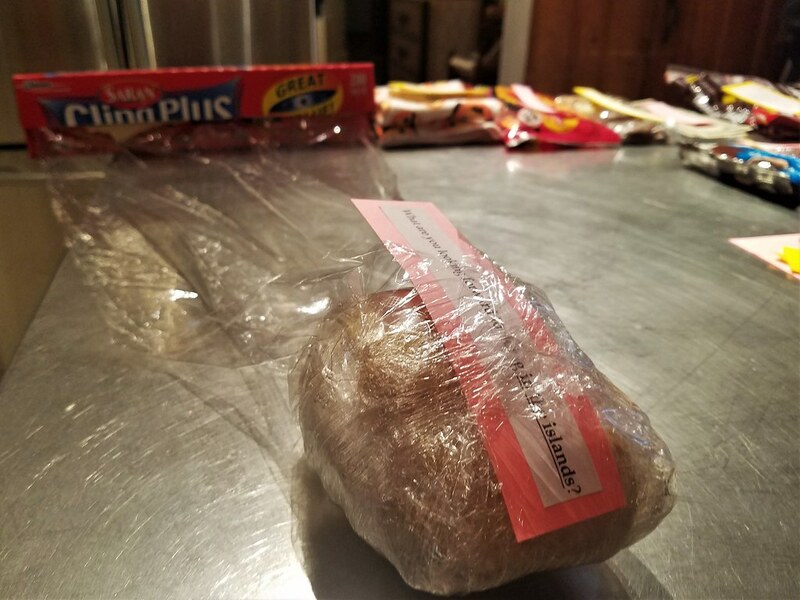 If using a paper to mark the start, place it on top, then make sure to wrap several layers of Saran Wrap over every little opening to keep the game from starting off too simple. The length of time it will take to put together the Saran Wrap ball will depend completely on you. For me, it took me about an hour and a half from start to finish. 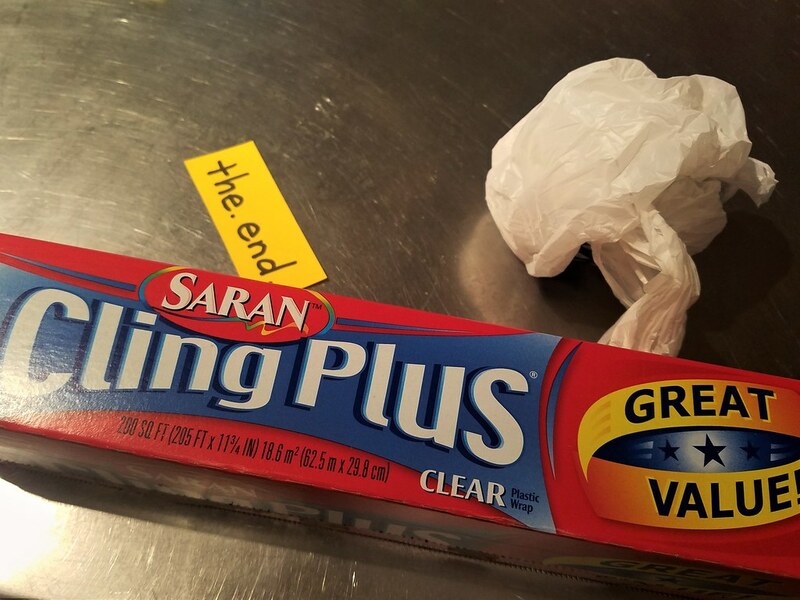 I timed the Saran Wrap rolling at 45 minutes. **Can you guess if ours was or not? I found this game to be the perfect ice breaker for a meeting which otherwise wouldn’t have been too thrilling. It got everyone thinking and talking about different aspects of our trip which they might not have been too excited about yet.